In our quest to build our incubated start-ups capabilities and enhance their entrepreneurial journey with the right tools and information, we invited Philippe Hardy, managing director and corporate finance advisor at PSG Wealth and chairperson of Transparency Mauritius, to help our start-ups with his deep understanding in finance, growth and the shareholder agreement that an entrepreneur needs to know and apply so as to reduce risk and increase their chances of success. Philippe explicitly shared with us the life cycle of a company and the various types of investment, including when, where and who to seek for investment. He explained that as the company’s life cycle increases, the risk decreases. He advised our start-ups on the most appropriate types of funding (equity / quasi-equity / debt) to use in each case stating their pros and cons and giving examples. Being an expert in finance, he created awareness on the different factors of investment that a company needs to consider and how to evaluate the company’s value at each stage. Moving to the second part of our workshop, Philippe talked about the key factors of the Company’s Act that we need to consider, explaining the types of shares and forms, whether or not to consider constitution, duties of directors, types of companies and other legal and regulatory aspects. He eventually gave us a complete outlook on the Shareholder’s agreement whereby it is imperative to clearly understand each person’s involvement and duties, the company’s activity, business plan, and to foresee the governance & management of the company. Such agreements can be very flexible and they become very useful when well designed. Turbine enable start-ups to meet with the best experts who have worked with entrepreneurs and can clearly understand their circumstances. Our workshop are thus tailor made as per the needs of our incubated start-ups aiming at sharing crucial entrepreneurial insights. Being entrepreneur is not easy when alone, and getting the right information and guidance is essential. We are glad to help out these dynamic and motivated entrepreneurs in conquering their milestones. 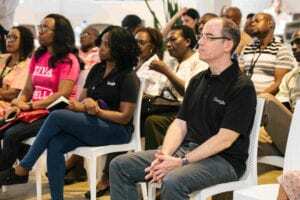 Turbine had the honour of hosting the first Africarena Tour 2018 in Mauritius on the 2nd of May 2018.The event was organized in collaboration of Compass Venture Capital, the French Tech and the Africarena. Africarena is an international platform that explores start-ups and innovators in order to identify the best ones. The latter get exposure and opportunities to partner up with sponsors. Their principal aim is to promote the tech innovation ecosystem and to attract entrepreneurs and investors towards Africa. 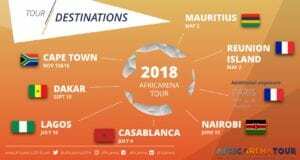 In order to explore the trend with up-coming start-ups, Africarena is touring in various countries, Mauritius being one of them. The event started at 16h00 with an interactive panel discussion on the entrepreneurial ecosystem in Mauritius and Africa with a panel of selected experts; Fabrice Boullé, partner of the investment fund Compass venture capital and Director of Turbine, Christophe Viarnaud, Managing Director of Africarena, Linley Tanner, an experienced Mauritian entrepreneur. 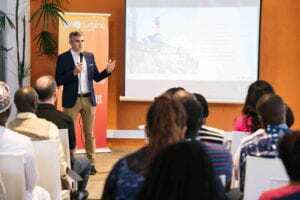 It was then time for the “Best Mauritian Start-up Challenge” pitch battles: These were twofold; one for the seed stage ( that do not have traction yet) start-ups and another for the early stage (that already have traction) start-ups. Three start-ups, Fundkiss, MySphere and Travelbudds, tried their best to impress the judges with their pitch in order to win the seed stage challenge and four more start-ups, Ticati, Rezobooking, Storageplus.io and Expat.com, pitched for the early stage challenge and showed off the respective traction figures. 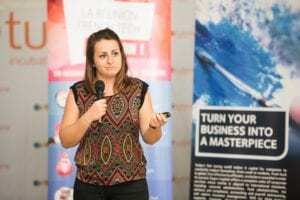 The competition was tough, but the judges could only choose 1 winner in each category, of whom only one would get the chance to go to the finals of Africarena in Cape Town. 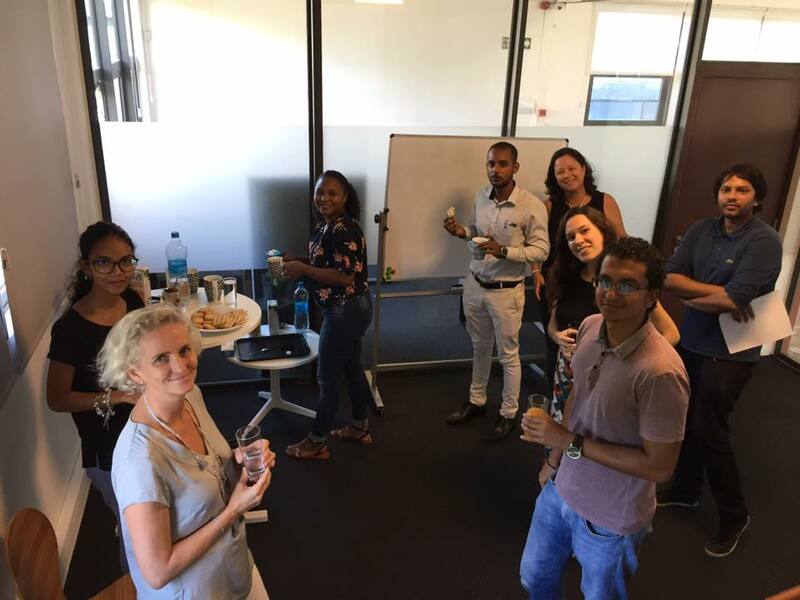 The winners of the Africarena Tour 2018 Mauritius for the Best Mauritian start-up challenge seed stage was Travelbudds, and Expat.com for the early stage challenge. The judges decided that, of these two winners, Travelbudds should be the elected start-up competing at the finals in Cape Town. “I am genuinely impressed by the quality of start-ups we have in Mauritius. The pitch are on point and the innovation they are bringing are interesting.” he said when speaking about all the participating start-ups. “Expat.com has an exceptional traction which is very rare to reach without external funding even when compared to other African start-ups. Travelbudds is the social network for young, mobile, connected, travel lovers looking for the most authentic ways to discover the world and share their experiences. TravelBudds will be the only tool travelers will need to go through the whole travel lifecycle from inspiration seeking, to organizing & booking, geolocalized tips during the trip and experience sharing. Through this social network, we aim to become the Travelers’ hub connecting users together and together with service providers, official institutions and brands for our users to benefit both from peer-to-peer advice and from official information. As of today, in terms of entrepreneurs and official institutions, we target mainly low visited countries and remote places in order to develop entrepreneurship, economic growth, employment and last but not least green tourism. We created TravelBudds because we realized that the customer journey in travelling can be really painful. On the one had, we have the online tourism industry which is really crowded. There are many websites, sources, brands, social media groups and people sharing their experiences here and there. And on the other hand, we have millennials who are looking to make the most out of their trips, immerse themselves in the local cultures and have a real experience. However, they don’t have much time to organize and, in majority, they make travel choices based on peer recommendations. Therefore, we decided to create an all-in-one tool to save time while organizing being reassured that the information comes from a person we know who has already had this experience. We decided to participate to the Africarena tour challenge in Mauritius in order to be visible towards the start-up ecosystem and investors. For us it was the opportunity to meet new people, test our pitch and idea and to show what TravelBudds was about because we are looking for funds shortly. The competition was quite fierce for this pitch contest and it was difficult to actually position your start-up in the whole because there were all sorts of start-ups from different markets, different stages and different technologies. Honestly, we didn’t really expect to be the winners so we are very proud and extatic to be able to go to the next step. Once again, our marketing campaign showed traction on our product and the Africarena challenge made us realize that judges believed investors could be interested in our start-up. It’s a great leap ahead and we are very happy to have the opportunity to go to Cape Town, be in the pitching program with SchoolLab and have the opportunity to extend our network. What does this new achievement mean and what will it bring to Travelbudds? The start-up creation journey is a real emotional journey aswell. Most of the times, you get 100 no’s for 1 yes and the founding team needs a lot of confidence, trust and strength to keep creating. We have not yet been so familiar with the investor’s world and getting feedback on what we have built so far so this achievement is a serious energy boost for the whole team. We are very excited and looking forward to developing our start-up, our team and building our partner network in the next few months. Expat.com is the world leading online networking platform dedicated to life abroad. We provide quality content, networking facilities, and premium services to help those who are already living or looking to live abroad. The platform is available in five languages, and our aim is to help our international audience and members to make their expat project a success. How did you come up with this start-up? I have been living and working in many countries. I quickly noticed that information, contacts and services for expatriates and future expatriates were hardly available. I started working full time on an expat blogger-oriented interactive platform called Expat-blog.com and set up a team composed of IT experts and community managers to boost its performance. Over a short period of time, a unique technical infrastructure was designed, with the aim of providing members and visitors with customized local content. In April 2015, the platform reached its first million members. In January 2016, Expat-blog.com became Expat.com, propelling the start-up as the leading platform dedicated to life abroad. Expat.com offers improved features and embraces the whole spectrum of expatriates. By adding meaningful content and premium services to its platform, Expat.com boosts the benefits the platform provides to its visitors and members. As a sign of recognition and proof of our notoriety, Expat.com reached 2 million members in September 2017 and generated its first million revenue (USD) the same year. In 2018, it was selected as one of the Top 50 Start-Ups at the Start-Up Grind Global Conference event in San Francisco. What motivated you to apply to Africarena? Africarena is a great place to be when it is about networking with the tech community in Africa. We are currently committed to connect with successful startups and investors to get the advice and support we need to grow. What does this new achievement mean for expat.com? It is mostly a sign of recognition from peers working in the same sector as us. It shows that our business goes in the right way. This achievement may also help us to get more visibility among the investors community and open new doors. We will continue to grab the attention of key stakeholders at Africarena in November, but also at other Tech conferences worldwide. As for Turbine, hosting Africarena was an enriching experience. We were able to talk with dynamic entrepreneurs in our ecosystem, learn about the questions that investors and other stakeholders ask, and watch live the rigorous battle of pitch! We are proud of having been part of the organizing team bringing this reputed international platform to our Mauritian entrepreneurial ecosystem. This is just the beginning of bringing Mauritius on the map of innovative businesses! We invited Sylvia Maigrot, founder and partner in charge of corporate and business facilitation services at BOX OFFICE LTD, along with Mrs Joelle Barnett to our monthly workshop for our incubated start-ups. The objective of the workshop was to bring light on the mandatory legal framework that need to be followed by entrepreneurs. This include the various administrative work involved while setting up a start-up, the different permits that are needed (trade license, data protection laws, etc), filing of accounts, the annual return and the procedures compliant to the law when there are changes in the company. Diane Maigrot, Start-up coach and business developer of Turbine: Having been through the journey of a start-up myself, I understand the complexity of finding information t0o be compliant with the laws when operating a business. It would have been a real time saver to have been exposed to all these information when I started my business. I believe it is imperative that our incubated start-ups are aware of all the different laws and policies to smoothly start their respective business. Ludmilla Moutou, co-founder of Létour Ltd: This workshop has really shed light on the various laws for entrepreneurs that I was unaware of. I received a lot of useful tips on legal framework! Dodi Mardemootoo, founder of Fancy dreams Ltd: Great insights on legislations in force in Mauritius and I learned about the different steps needed to ensure that my start-up is compliant. Shameer C.M Ramdin, co-founder of AVR Plato: It has really helped to identify the different aspects needed to be put in place through the legal framework. With 26 years’ of experience in company administration and secretarial practice, board, committee and shareholders’ meetings, corporate governance, managing stakeholders’ relationships, liaising with and reporting to regulatory authorities, Sylvia is also an advisor in company/group restructuring, due diligence and business acquisitions. She specialized in Hospitality Industry, i.e, sustainability, operations audit and compliance, risk mitigation, implementation of management systems, statutory obligations and training modules, coaching. Entrepreneurship Expresso~ Turbine was there! We attended the Entrepreneurship Expresso organised by the Ministry of Business, Enterprise and Cooperatives in collaboration with SME Mauritius. The aim of this meet up was to facilitate, support and promote women entrepreneurship through coaching mentoring and business to business networking. It formed part of the Thematic Intervention enumerated in the 10 Year Master Plan for the SME Sector in Mauritius. It had at heart the development of entrepreneurs and SMEs in Mauritius through a thematic action of promoting women entrepreneurs. This was done by providing a space for hand holding and mentoring supports combined with networking opportunities with high net worth women. This in turn made for an inspiring and empowering environment for young startups to grow. A day packed with inspiring speeches delivered by Hon. R. Jadoo Jaunbocus, Minister of Gender Equality, Child Development and Welfare; Hon. S. Bholah, Minister of Business, Enterprise and Cooperatives and a number of successful women entrepreneurs, namely Sylvette kreuck the CEO of Wally plush toys, who shared their experiences developing their business in Mauritius. Sme Refund Scheme for export promotion events and Technology Fairs~ A grant of Rs 200,000 per year for SMEs in manufacturing and agricultural sectors to participate in export events and tech fairs. Throughout the course of the workshop, a lot of emphasis was laid on the importance of doing business in a professional manner and by hiring the right personnel with right field of expertise to help one grow their business. Another aspect of doing business in Mauritius that was accentuated was networking; with successful entrepreneurs saying that it does not matter what you know in the business world, it’s whom you know. Pooja Raghoo /wp-content/uploads/2018/10/logo-turbine-50.png Pooja Raghoo2018-04-03 08:21:402019-04-08 16:12:07Entrepreneurship Expresso~ Turbine was there! Our 2nd workshop took place with a bang! Laurent Bourelly, the Head of Marketing of the ENL Group with 20 years of experience in the African countries, animated a workshop for our six incubated start-ups on “Know your customer deeply”. The start-ups got the opportunity to understand the importance of segmenting and choosing the best suited customers. Many examples were given to highlight the power of branding and brand loyalty. They were exclusively given precised facts and figures on the Mauritian market from recent studies made by the ENL group. Turbine has been honored to host an exclusive conference for Google Africa, gathering 60 African ICT influential leaders and governmental policy makers, on Friday the 9th March 2018. The conference was an opportunity to showcase Mauritius as an emerging entrepreneurial hub. Fabrice Boullé, director of Turbine, and 3 Mauritian start-ups, shared their local experiences. Fundkiss, a new start-up promoting a crowd-lending digital platform for entrepreneurs, testified how an innovative business can be launched despite the fact that the law does not cater for it. 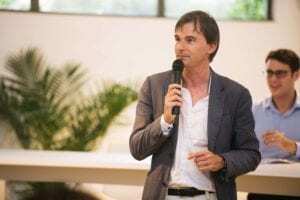 Paul Perrier, one of the co-founders, explained how Fundkiss was able to get the Sandbox licence from the Board of Investment in order to start its operation. MySphere, who just launched a breakthrough instant networking app, uses Google Firebase platform to develop its high-quality Android app. Pierre Yves Maria and Samuel Mamet, the co-founders of MySphere, shared their interesting experience of working from Mauritius with Android app developers across the world while targeting international markets. They are the embodiment of the fact that Mauritius is indeed an attractive place to run a business with strong willed entrepreneurs, excellent marketing resources and political stability. Ict.io, is a online media start-up promoting tech events and start-ups from the Indian Ocean. 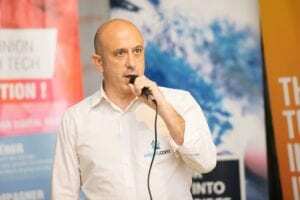 Vincent Pollet, the co-founder of Ict.io, and his team have played an impactful role in the development of the technopreneurial ecosystem in Mauritius since a few years now. According to Vincent, the ecosystem is now growing faster in Mauritius, specially due to initiatives of IT passionate and innovative entrepreneurs who are joining forces and collaborating to support each other and build up a stronger community. Doron Avni and Michael M. Murungi, respectively Director of Public Policy and Gov’t Relations- EMEA Emerging, and Markets Policy & Government Relations Manager represented Google with four others. The Google conference has been successful in reinforcing strategic links between Mauritius and the African continent. Policy makers were inspired by the conference on how they could support and play a role in innovation in Africa.